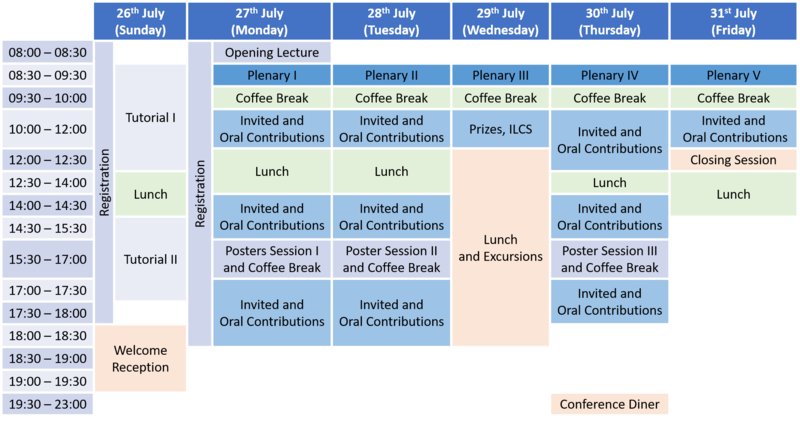 A tentative outline program of the Conference, from Sunday to Friday, is presented here. Five plenary Sessions are planned to be held. Invited as well as regular oral contributions are intended to take place in parallel sessions. The poster sessions will be held during the afternoon coffee breaks.